First, you must register for the site, then log in and fill out your profile. Tell us a little about yourself, your education, your qualifications, and anything else we should know about your business or aspirations (at least 250 words!). Include a link to your website. You’ll need to create an account at Gravatar.com with the same email address you used to register for BaSE in order for your image to be associated with your BaSE account. Next, use your profile information to create an introduction post. 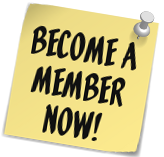 Click the category “New Members”, then click the blue “Publish” button. When we confirm that your profile is filled out, that you’ve uploaded a Gravatar image, and that you’ve submitted your first post, we will give you Author status. Once you’re an Author you’ll be able to post articles, videos, jobs, interviews, slide shows and more at your discretion. Make sure you use tags when you post, which will help other members find the info you’re sharing. Also be sure that you click the appropriate category for your posting: Articles, Videos, Interviews, Events, or Jobs. You should only click one category per post. It’s mainly volunteers who run the site, so please be patient with us if you’re having any issues. If you need help with posting (ie, you are not familiar with WordPress), send an email to [email protected]. Please note that by filling out a profile and making your first post you agree to abide by our Terms Of Agreement.